Living on your own private island away from the hustle and bustle of daily life can seem like the ideal dream at times. But unfortunately, in order to afford such a luxury, most of us would have to maintain our office day jobs, which would be impossible if we lived in complete seclusion 24-7. But then there's Tavern Island, which shows us that it might be possible to have both at the same time. Located in Norwalk, Connecticut, the island sits within commuting distance to the working capital of the world, New York City. With its own private beach and acres upon acres of land, the island is truly yours and yours only – not to mention all the different buildings that come alongside it, too. The property boasts a main house of typical New England-style architecture, a boat house that features a decked out game room, a guest "cottage" (though with two bedrooms, two baths, kitchen and living room, some might call it a regularly sized "house") and a separate Tea House, with an additional bedroom and meeting room. Safe to say there's no shortage of lodging accommodations on Tavern Island, but hey, if it gets lonely all the way out in the middle of the ocean, you're going to want guests! The property also features a huge gunite pool and deep water dock, which will come in handy as the island is only a mere five minutes from the mainland in Rowayton, Connecticut. The views of the water and harbor speak for themselves, as you probably could've guessed granted it is a private island, after all. 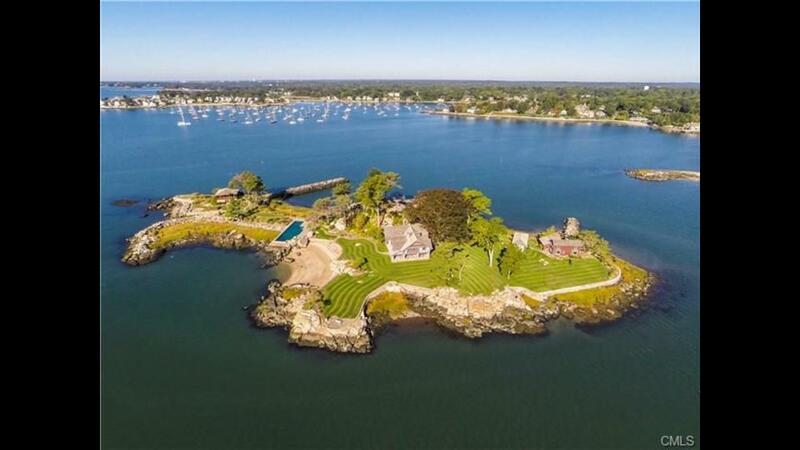 The island can be yours if you have a cool $11M to spare. "There's something about having to take a boat home. It makes you forget you've just come from an office."